Let's go ice skating! Look for the white tent at the foot of the 4th Avenue bridge in downtown Olympia. 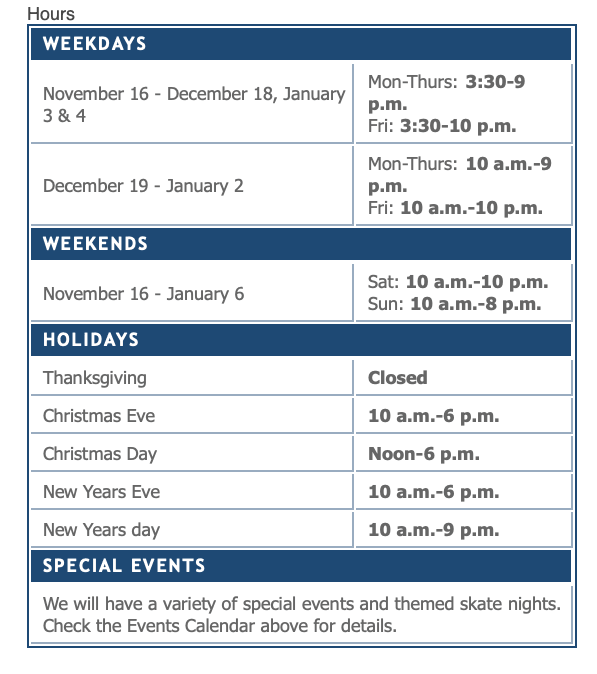 Skates included with admission. 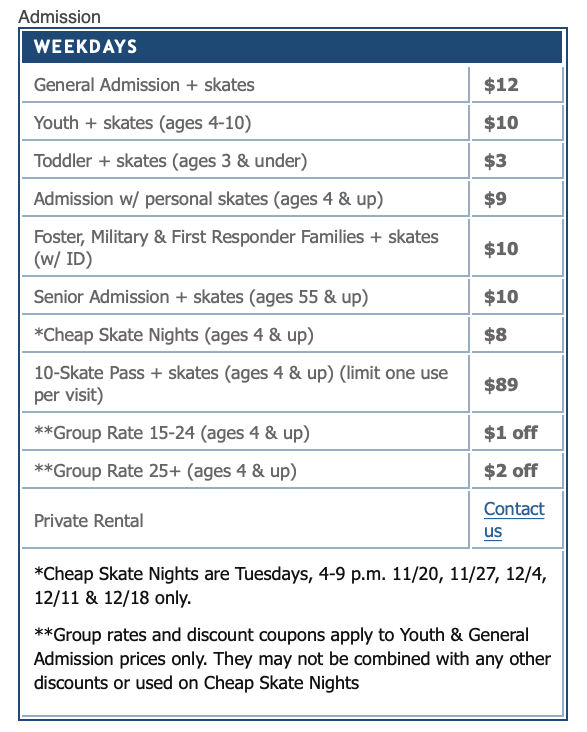 Pricing, hours, special events, discount nights and directions available at www.olyonice.com. 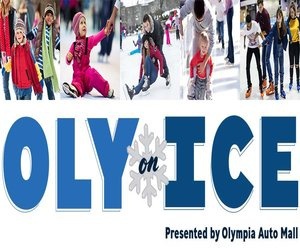 Presented by the City of Olympia, the Olympia Auto Mall and supporting sponsors. Visit www.olyonice.com for more information. The rink is 4,000 sq. ft. with a max capacity of 125 skaters.